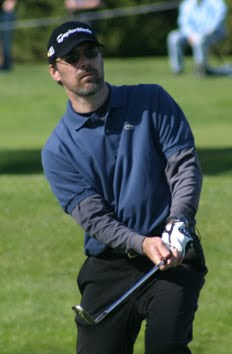 Criminal Minds: Chris Mundy, pictured above on the set of Criminal Minds, is the writer of the spin-off. What do you think about Criminal Minds having a spin-off? Criminal Minds is now available for download on iTunes. The first 12 episodes of Criminal Minds season 5 are available now. Criminal Minds promo for "Parasite" is courtesy of CBS. The team follows a con artist whose crimes escalate as his mental health declines on the next episode of Criminal Minds. "Parasite" - The BAU follows the mental decline of a con artist whose schemes have become so complicated that he begins to eliminate the people involved in them, on CRIMINAL MINDS, Wednesday, Feb. 3 (9:00-10:00 PM, ET/PT) on the CBS Television Network. Criminal Minds did great in the weekly Nielsen ratings for the week ending January 24th. Criminal Minds stars Joe Mantegna, Thomas Gibson, Paget Brewster, Shemar Moore, A.J. Cook, Matthew Gray Gubler and Kirsten Vangsness. Oscar-winning actor Forest Whitaker is reportedly in negotiations for a major TV deal to lead the upcoming Criminal Minds spinoff. Bosses at CBS are planning to expand the popular cop drama into a franchise with a new series due to air later this year. And The Last King of Scotland star has been chosen to head up the all-new cast, according to EW.com. The website reports Whitaker will be introduced to viewers in a Criminal Minds episode this spring. Whitaker's last major TV role was in another police show — he starred in The Shield between 2006 and 2007. 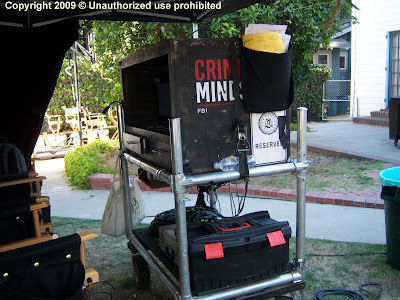 Criminal Minds blog question of the day: Now that half of season 5 is behind us, tell us what you think of season 5? CRIMINAL MINDS delivered its largest audience and highest adult 18-49 and adult 25-54 ratings since its season premiere, according to Nielsen preliminary live plus same day ratings for Wednesday, Jan. 20. CRIMINAL MINDS was first in households (9.3/15), viewers (15.34m), adults 25-54 (5.4/13) and adults 18-49 (4.3/11). Compared to last week, CRIMINAL MINDS was up +9% in households (from 8.5/13), +10% in adults 25-54 (from 4.9/11), +13% in adults 18-49 (from 3.8/10) and added +1.44m viewers (from 13.90m, +10%). At 10:00 PM, CSI: NY was first in households (8.8/15), viewers (13.89m), adults 25-54 (4.7/12) and adults 18-49 (3.7/10). Compared to last week, CSI: NY was up +2% in adults 25-54 (from 4.6/12), +6% in adults 18-49 (from 3.5/10), even in households and lost -140,000 viewers (from 14.03m, -1%). Note: CBS prime programming was preempted/delayed mostly due to college basketball in a number of markets. CBS ratings are tentative and subject to change. For the night, CBS was second in households (7.4/12), viewers (11.85m), adults 25-54 (4.2/10) and adults 18-49 (3.3/09). 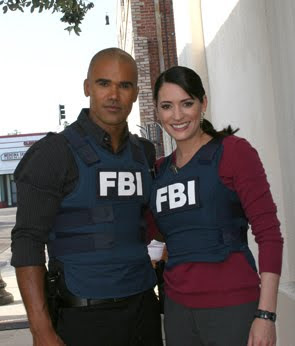 CRIMINAL MINDS SPOILER THREAD FOR "RISKY BUSINESS"
Criminal Minds spoiler thread for "Risky Business" starring Joe Mantegna, Thomas Gibson, Paget Brewster, Shemar Moore, A.J. Cook, Matthew Gray Gubler, Kirsten Vangsness. CRIMINAL MINDS QUOTES & SONG INFO FOR "RISKY BUSINESS"
Beginning Quote: "Life is a game, play it... Life is too precious, do not destroy it." -- Mother Theresa. Song: Enemy" - Flyleaf - Pg. 1 Sc 1 Song in script plays over montage of happenings in Ryan & Trish's bedrooms and then discovery of their bodies. 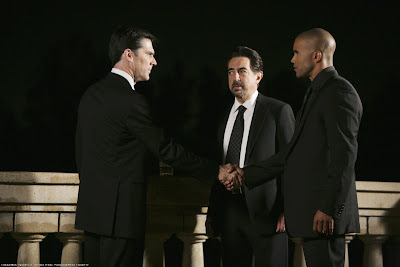 Criminal Minds: "Haunted" rebroadcast on a special night. Enjoy! CRIMINAL MINDS PRESS RELEASE FOR "RISKY BUSINESS"
Criminal Minds: CBS press release for "Risky Business" starring Joe Mantegna, Thomas Gibson, Paget Brewster, Shemar Moore, A.J. Cook, Matthew Gray Gubler and Kirsten Vangsness. 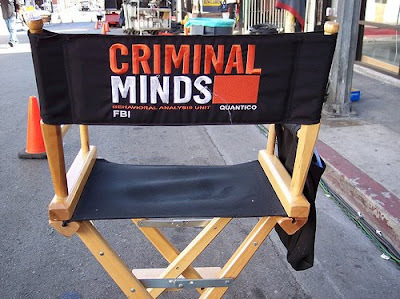 "Risky Business" - A rash of startling teen suicides in a small Wyoming town is the focus of a BAU investigation, on CRIMINAL MINDS, Wednesday, Jan. 20 (9:00-10:00 PM, ET/PT) on the CBS Television Network. CRIMINAL MINDS PROMO FOR "RISKY BUSINESS"
Criminal Minds promo for "Risky Business" courtesy of CBS. The team investigates a series of teen suicides in a small Wyoming town on the next episode of Criminal Minds. Criminal Minds stars Joe Mantegna, Thomas Gibson, Paget Brewster, Shemar Moore, A.J. Cook, Matthew Gray Gubler and Kirsten Vangsness. Criminal Minds Fanatic members Laura and April were able to meet each other today. We had a wonderful lunch in downtown Boone, NC. April was a gracious host, showing me around town and the campus of ASU. It's amazing how many people you meet on line who have similar interests and live 'just around the corner'! It was quite a treat to be able to discuss Criminal Minds and last night's episode, "The Uncanny Valley", with a fellow Fanatic face-to-face! I hope that you are able to meet fellow Fanatics that may live in your area! Criminal Minds and the CMF message board really bring people together! *** Reminder*** the password and rules will be going out this afternoon. Also, if you haven't already send your request for the password please send an email to cmfchat@gmail.com as soon as possible. 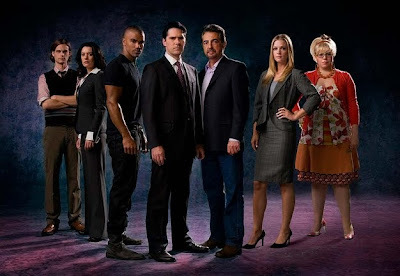 CRIMINAL MINDS SPOILER THREAD FOR "THE UNCANNY VALLEY"
Criminal Minds spoiler thread for "The Uncanny Valley" starring Joe Mantegna, Thomas Gibson, Paget Brewster, Shemar Moore, A.J. Cook, Matthew Gray Gubler, Kirsten Vangsness. CRIMINAL MINDS QUOTES & SONG INFO FOR "THE UNCANNY VALLEY"
Beginning Quote: Mildred Lisette Norman wrote, 'Anything you cannot relinquish when it has outlived its usefulness possesses you. And in this materialistic age, a great many of us are possessed by our possessions'. End Quote: Isaac Asimov wrote, 'In life, unlike chess, the game continues after checkmate'. Song: 'Enemy' Flyleaf Pg. 1 Sc. 1 song plays over montage of happenings in Ryan & Trish's bedrooms and then discovery of their bodies. CRIMINAL MINDS PRESS RELEASE FOR "PARASITE"
Criminal Minds: "Parasite" - The BAU follows the mental decline of a con artist whose schemes have become so complicated that he begins to eliminate the people involved in them, on CRIMINAL MINDS, Wednesday, Feb. 3 (9:00-10:00 PM, ET/PT) on the CBS Television Network. 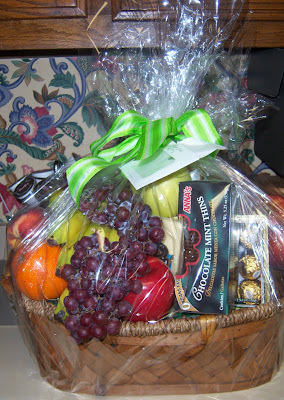 ©2009 CBS Broadcasting Inc. All Rights Reserved. CRIMINAL MINDS PROMO FOR " THE UNCANNY VALLEY"
Criminal Minds promo for "The Uncanny Valley" is courtesy of CBS. 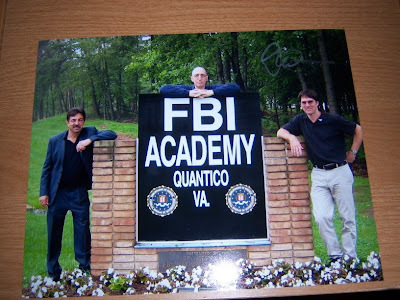 An unusual personal obsession is at the center of a BAU abduction case. 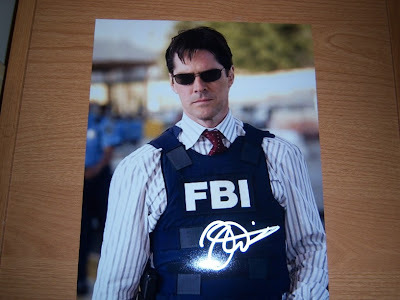 Meanwhile, Hotch struggles with his return to work on the next episode of Criminal Minds. Criminal Minds starring Joe Mantegna, Thomas Gibson, Paget Brewster, Shemar Moore, A.J. Cook, Matthew Gray Gubler and Kirsten Vangsness. CRIMINAL MINDS PRESS RELEASE FOR "THE UNCANNY VALLEY"
Criminal Minds: CBS press release for "The Uncanny Valley." 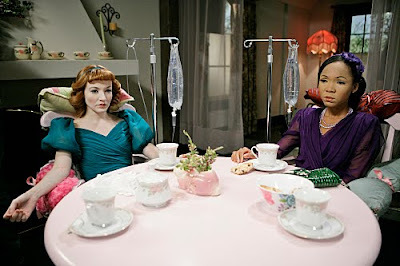 "The Uncanny Valley" -- Several woman, including Cindy (Megan Duffy, left) and Maxine (Monique Patrice, right) are abducted by a woman and turned into her real-life doll collection, on CRIMINAL MINDS, Wednesday, January 13 (9:00-10:00 PM, ET/PT) on the CBS Television Network. 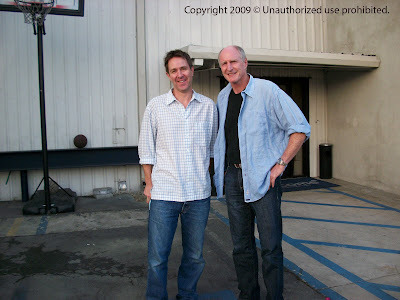 Photo: Cliff Lipson/CBS ©2009 CBS Broadcasting Inc. All Rights Reserved. Criminal Minds: "The Uncanny Valley" -- A woman (Jennifer Hasty) struggles with a bizarre personal obsession with dolls, on CRIMINAL MINDS, Wednesday, January 13 (9:00-10:00 PM, ET/PT) on the CBS Television Network. 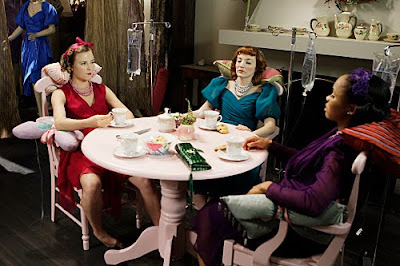 Photo: Cliff Lipson/CBS ©2009 CBS Broadcasting Inc. All Rights Reserved. Criminal Minds: Ed Bernero, Exec Producer of Criminal Minds, gives a shout out to the Criminal Minds Fanatics. 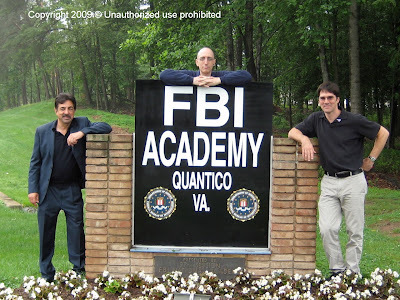 EB: We have a very strong base of Criminal Minds fanatics. And they were very important during the strike. I think that all those sorts of online fan site played a very important role in putting pressure on the networks and it was interesting. 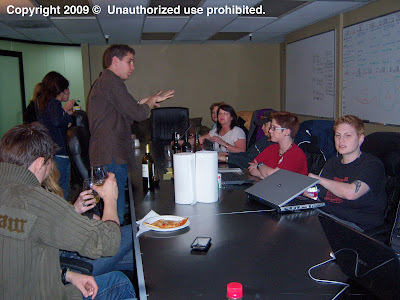 It’s a very interesting time because nobody ever knew the names of the writers and show runners before. 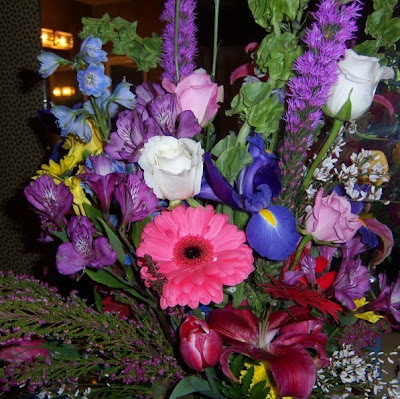 Now, when something happens, they are among the first people that we think of to tell. 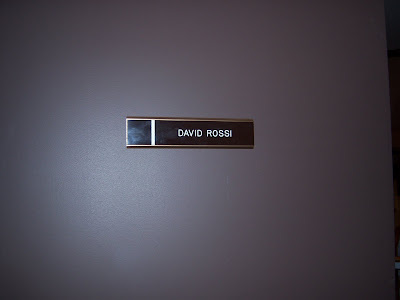 We had a pretty famous incident where somebody left the show [Mandy Patinkin, replaced by Joe Mantegna] before the beginning of the season, a star. And it was online that I saw some people start blaming the show, "they should have given him what he wanted". I went right to the fans to say, you don’t understand. I wrote a long letter to the fans about what happened and how surprised we were. You go right to the fans. You used to go to TV Guide or The Hollywood Reporter and sort of dance around subjects and not say things. I had a lot of people in the industry who would call me up or whisper: “Way to go," because I was pretty nakedly upset by what I considered a very selfish act by somebody. But I went right to the fans of the show.